Createspace Independent Publishing Platform, 9781986247498, 234pp. If you inherit something, do you also inherit responsibility for its history, even if you have no awareness of that history? After tracing the house she inherited from her grandmother to the selling of land stolen from the Utes, Denise must decide whether to stand up for her family or her convictions. 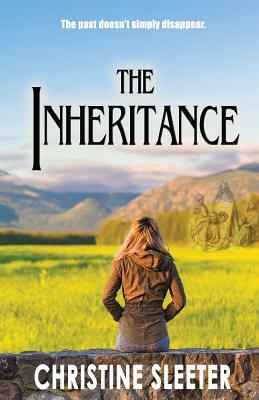 The Inheritance explores how someone who benefitted directly from the removal of an American Indian tribe from their lands comes to understand how that happened and what one can do about it. Denise wrestles with guilt on hearing about the impact of land theft directly from a Ute elder. How much responsibility does she bear for what happened long before she was born? As a fourth-grade teacher charge with teaching state history, how much can she change the prescribed curriculum in order to teach history from Indigenous viewpoints? As she gradually weighs various responses, Denise comes to terms with who she is in relationship to those around her. Christine Sleeter is a writer, researcher, and teacher, and writer who is best known for her work in critical multicultural education, and her insights into white people grappling with race. She holds the title of Professor Emerita in the College of Education at California State University Monterey Bay, where she was a founding faculty member. Previously she taught at Ripon College and the University of Wisconsin-Parkside. She is an internationally recognized leader in social justice multicultural education, ethnic studies, and teacher education, and is author of numerous non-fiction books in those areas. Her work has been translated into several languages. She has been honored with awards that include the Kappa Delta Pi Laureate Chapter membership, the American Educational Research Association Social Justice in Education Award, the Chapman University Paulo Freire Education Project Social Justice Award, and the National Association for Multicultural Education Research Award. A prolific academic writer with nineteen non-fiction books and over 140 articles to her credit, she is also the author of two novels.